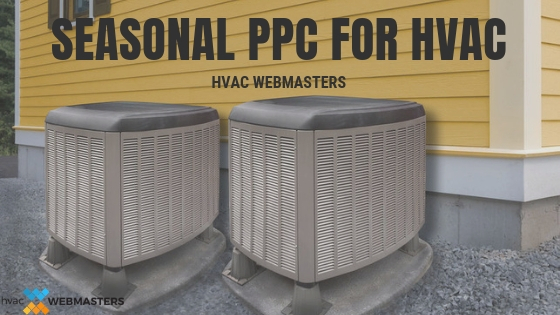 Google Ads, formerly AdWords, is not the only platform on which an HVAC contractor can buy ads. Companies can also utilize social media advertising, specifically on Facebook, Instagram, & YouTube. Similarly to Google Ads, maximizing ad campaigns on social media is a seasonal game of cat & mouse. Your goal as a contractor is to maximize your financial resources to produce the greatest ROI. The bottom line is what matters to most companies, and efficient deployment of marketing dollars holds the greatest influence over your bottom line, whether that’s at the end of a month, quarter, or year. With intelligent PPC management that considers season, supply, & demand, the sky’s the limit for heating & cooling professionals. Sometimes contractors mistake PPC as the ultimate quick fix for online marketing. While paid ads have great value when properly managed, they are also dangerous to rely on as a singular entity. PPC and SEO are not mutually exclusive concepts, but rather ones that work well together and in fact, work best when combined. Even when securing a top ad spot, 76% of users will scroll down and click the organic result. That means you must be present on organic as well. Not only that, but once a user clicks on an ad, they will only stay if the landing page is well optimized with informative content that facilitates a favorable user experience. SEO lays a great foundation for subsequent PPC campaigns, in any and all seasons.